More and more people from Glens Falls and Saratoga Springs are discovering the benefits of BOTOX® Cosmetic. This treatment can provide temporary wrinkle relief for those people who aren’t quite ready for more dramatic procedures, such as a facelift or brow lift. Dr. Garcia is pleased to offer BOTOX® Cosmetic, a nonsurgical treatment that temporarily smoothes certain facial wrinkles. The treatment relaxes facial muscles that tend to tighten over time, creating wrinkles and lines that mask a more youthful complexion. 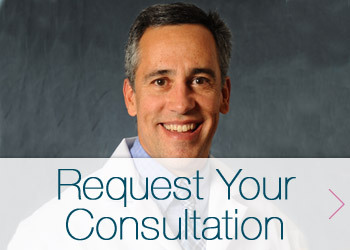 Request a consultation today to start enjoying smoother, more youthful-looking skin. Offering BOTOX® Cosmetic at his office in Glens Falls, Dr. Garcia is just minutes from Saratoga Springs, Queensbury and Lake George. It is now easier than ever to achieve your goals for cosmetic surgery. Our BOTOX® Cosmetic patients from Saratoga and surrounding areas appreciate that the treatment doesn’t dramatically change their appearance but instead offers subtle improvement that leaves them looking refreshed and energized. Most New Yorkers have heard about BOTOX® Cosmetic, but many in the Upstate area mistakenly think of it as nothing more than a big city fad. The reality is that BOTOX® Cosmetic offers real and dramatic wrinkle reduction for people from all walks of life. In fact, over 4 million BOTOX® Cosmetic injections were administered last year to men and women, making it the leading minimally invasive cosmetic procedure in the United States. The treatment can work wonders for those with moderate to severe “dynamic wrinkles,” those formed from repeated muscle movement. There are many benefits and advantages to this popular cosmetic treatment! Learn more about the benefits of Botox. Dr. Garcia injects BOTOX® Cosmetic for patients in a series of small injections. Treatment takes only minutes, and within a few days your treated facial wrinkles should be much less noticeable. BOTOX® Cosmetic is gentle, noninvasive, non-permanent way to achieve smoother facial lines, when treatments are consistently completed every 3-4 months. Have questions about BOTOX® Cosmetic procedures? Check out our BOTOX® FAQs for more information about this popular non-surgical treatment option. Dr. Garcia is also happy to answer any questions you have about BOTOX® Cosmetic or any other plastic surgery procedures, including facial sculpting, brow lift and eyelid surgery. Get more information and/or request a consultation by filling out the form below, or call 518-793-0475 today to begin your transformation.